The Arianespace Soyuz ST-B rocket has launched the next set of four O3b communication satellites towards orbit on Friday. The spacecraft are heading to a constellation that is already populated by 16 of the birds controlled by O3b Networks. 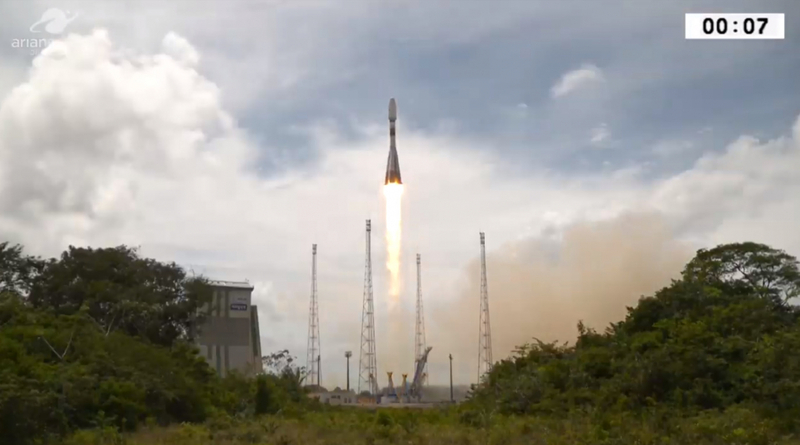 Lift off from the European Spaceport in Kourou, French Guiana occurred at 17:03 UTC.